Phaedra Parks‘ divorce from Apollo Nida is far from over, but her love for him sure got a proper Phuneral By Phaedra. With her Real Housewives Of Atlanta career also dead, Phaedra is moving on and opening up about her complicated divorce process and being a single mom. 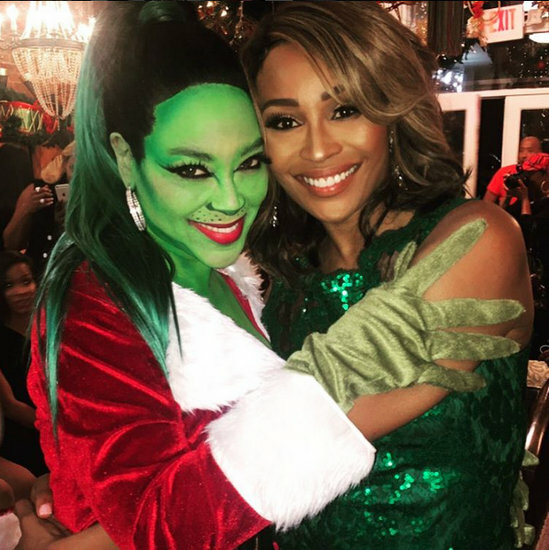 Cynthia Bailey Reacts To Surprise Appearances From The FEDs And Her Daughter Noelle! “I was surprised and mortified when Noelle and Leon walked in on me giving Peter a massage,” admits Cynthia. “I’m sure they were as well!” Ya think!? REPORT: Feds To Seize Apollo Nida’s Motorcycle From Kandi Burruss’ House! Probably not a good idea to admit you’re harboring a convicted felon’s property on national television! Kandi Burruss and Todd Tucker are about to learn the hard way that when dealing with Apollo Nida one is gonna get burned! Two days after the season premiere of Real Housewives Of Atlanta -when Kandi and Todd announced that a motorcycle and a four-wheeler owned by Apollo were in their garage while Apollo serves his 8-year prison sentence – the feds are seeking a surrender lien on said property. Oops. Poor Todd – Apollo has done him WRONG as a friend! The Feds Want Bravo And Real Housewives Of Atlanta Producers To Cough Up Apollo Nida’s Money? While Apollo Nida currently bides his time in prison, when he gets out he’ll be on the hook for a whopping $1.9 million in federal restitution. While Apollo was being investigated and before he went to prison Feds were on the lookout for Apollo’s money – which did not come from his wife Phaedra Parks but by Bravo Media and True Entertainment! According to court documents the Feds believed Real Housewives Of Atlanta producers and Bravo Media were holding assets for Apollo and not releasing the monies because they would automatically be confiscated by the Feds. Confirmed! Phaedra Parks Is Filing For Divorce From Apollo Nida! Rumors have been swirling for months that Phaedra Parks is on the brink of divorce from Apollo Nida. Today the Real Housewives Of Atlanta star’s rep confirmed that Phaedra has retained legal counsel and is moving forward to end her marriage! “Phaedra has retained an attorney with the intent of amicably ending her marriage,” Phaedra’s rep Steve Honig shared with Reality Tea. 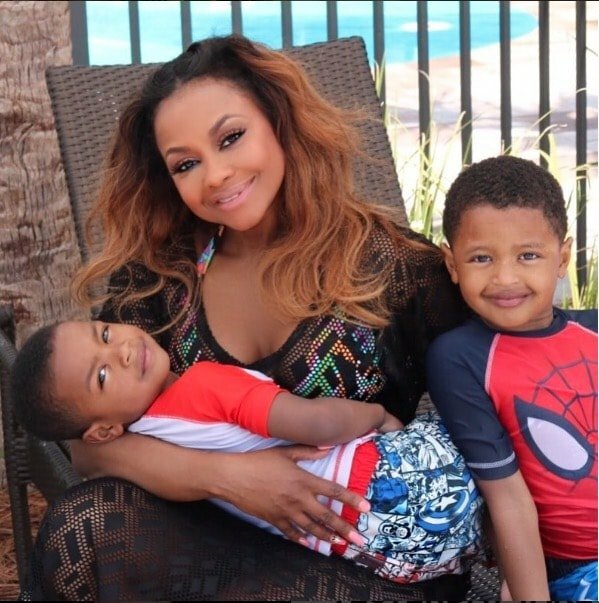 Phaedra was reportedly under “tremendous strain” while trying to keep her children’s lives normal while Apollo underwent his legal battle, and subsequent incarceration. REPORT: Apollo Nida Is Writing A Tell-All Book Before Heading To Prison! Apollo Nida has just days left before he must surrender to federal prison in Kentucky. Which means, “at the end of the day” the Real Housewives Of Atlanta star has a lot of writing to do because he’s writing a book! According to reports Apollo is hurrying to finish a tell-all memoir before he begins serving his 8-year sentence. Apparently Apollo has to get the book done before heading to prison due to the law and he has hired multiple ghost writers to complete the project. Apollo Nida To Begin Serving 8-Year Prison Sentence Next Month! Just in time for Real Housewives of Atlanta to wrap filming, Apollo Nida will be heading to prison! On September 10th at noon Apollo is scheduled to report to prison to FMC Lexington Prison in Lexington, Kentucky. Apollo will serve an 8 year sentence for various financial frauds and also owes about $1.9 million dollars in restitution. His wife Phaedra Parks was not at his sentencing and the couple is reportedly on the brink of divorce, although neither has filed.In fact Apollo himself admitted that he does not think his marriage will be in tact following his prison sentence. “I doubt [that my marriage will survive this]. My wife didn’t even fu**ing show up for my sentencing. I’m still kind of salty about that,” he confessed in an interview last month. Apollo Nida Divorcing Phaedra Parks? Says Restitution Was Lowered From $14 Million! Apollo Nida was giving yet another interview – this time to Be100 – and, as always, didn’t hold anything back. The Real Housewives of Atlanta star drops a few shocking drops of tea. His restitution initially started at $14 million. He doesn’t think his marriage to Phaedra Parks will survive. And he says there were others involved in the fraud dealings, but he took the brunt of the fall.